Scanning is still one of the hottest topics in collision right now, and calibration — restoring cameras and sensors to OEM tolerances following an impact or replacement — should be even hotter. Both of these concepts, as well as scanning’s sister field of diagnostics, might seem to have come out of the blue to insurers or repairers who haven’t been using OEM repair procedures. However, they’ve actually been around for years, even decades. 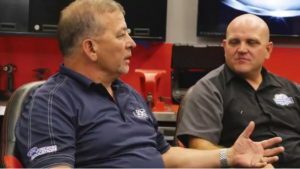 Get caught up fast on all three with the latest in the Society of Collision Repair Specialists’ education video series, unveiled for the first time Wednesday. Watch Jason Bartanen (I-CAR), Toby Chess (Kent Automotive), Barry Dorn (Dorn’s Body and Paint) and Bruce Halcro (Capital Collision Center) define the terms; outline some of the equipment and procedures necessary; and offer insight on what scanning, diagnostics and calibration mean from a business perspective. Adjusters, appraisers, actuaries, technicians, shop owners and estimators can all benefit from the video crash course, as well as prior SCRS videos on scanning, adhesives and corrosion protection. Consumers should check it out as well — the discussion even points out how modifications like different-size tires affect vehicle cameras calibrated for factory wheels. Addition information can be found straight from the OEM mechanical and collision repair procedures (not just the position statements) at OEM1Stop.com and from I-CAR’s calibration database on the Repairability Technical Support portal.